The Experienced Travelers are popping corks to celebrate one-year of Julie’s Paris. Who knew! Nurse and I toast the Readership! 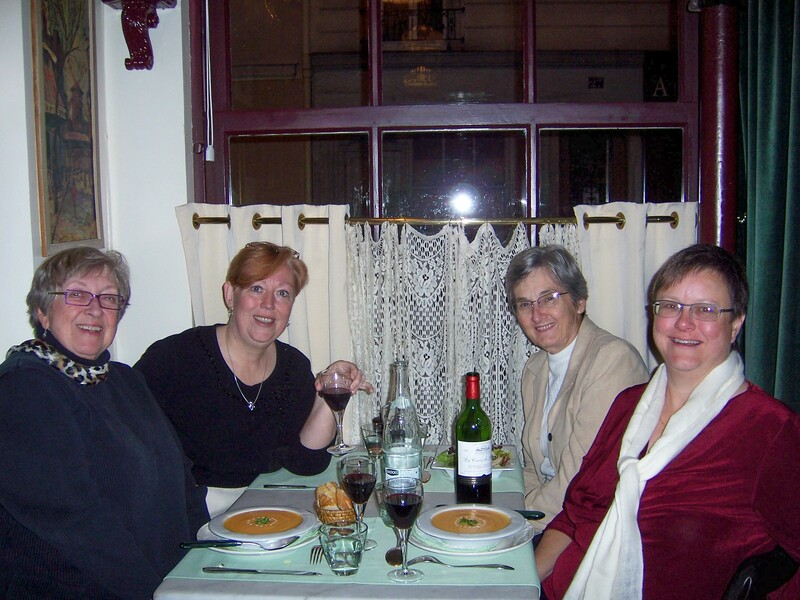 We also salute Associate ETs Joanne, Clare and Melinda, who contributed travel companionship, content and photos. They willingly walked, ate, drank, shopped, photographed, drank and persevered. 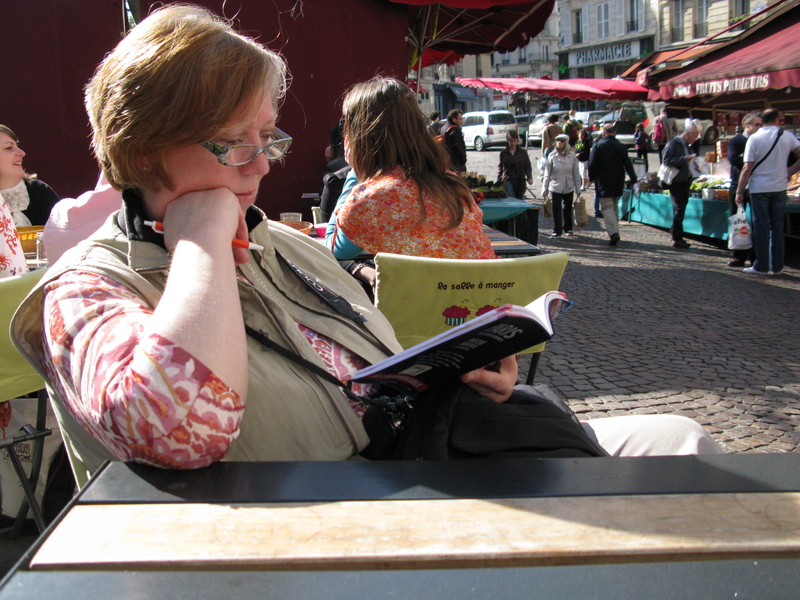 Julie’s Paris started as a trip blog. It would have been too tiresome to spend time and bandwidth e-mailing everyone 10-megapixel photos of duck confit. So we decided to blog. The format was ideal and our friends were hardly shy about sharing comments about our Paris adventures. Thus it began, and so it continues. We’ve welcomed new members to the Readership from all round the world. It’s a delight to meet you and exchange stories through comments and e-mail. 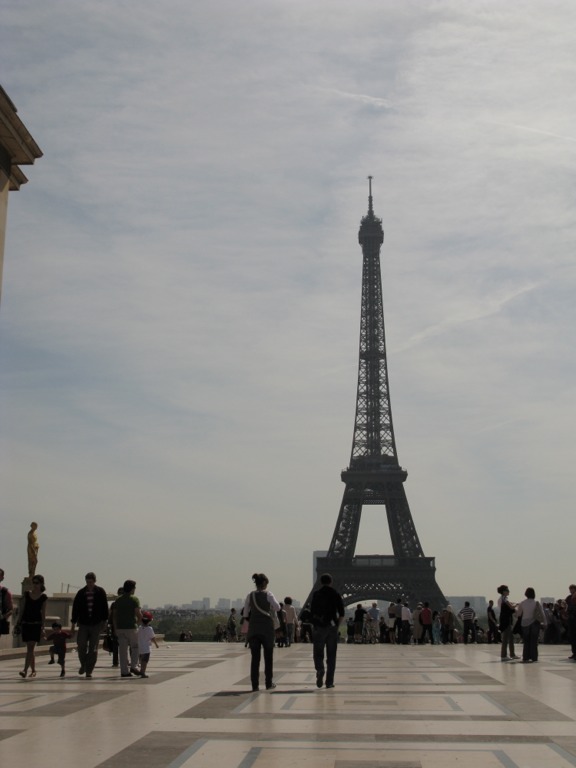 We also rely on the Fodors Travel Europe forum for information and advice to bring the Readership the very best in Paris info. 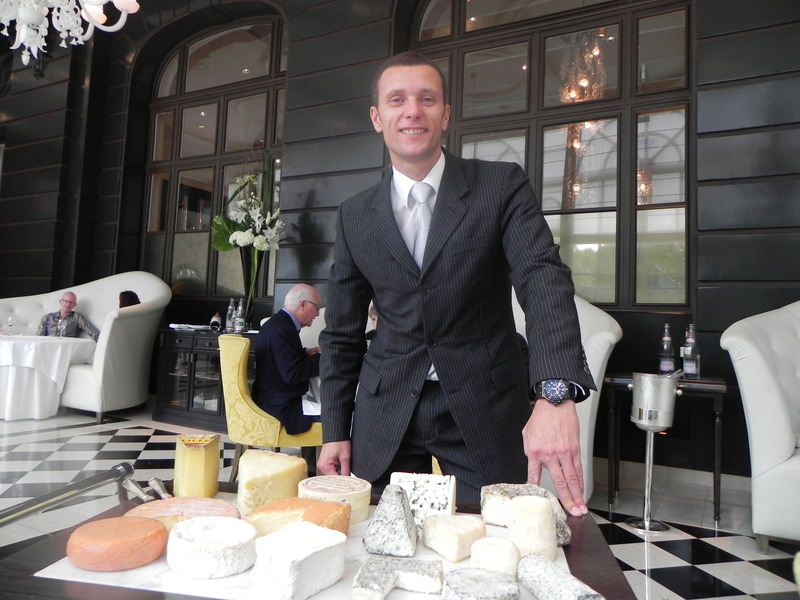 Our first post was inspired by the orgiastic 2 1/2-hour lunch at Gordon Ramsay’s restaurant in Versailles. But the continuation of that post with more photos and description is a better read! 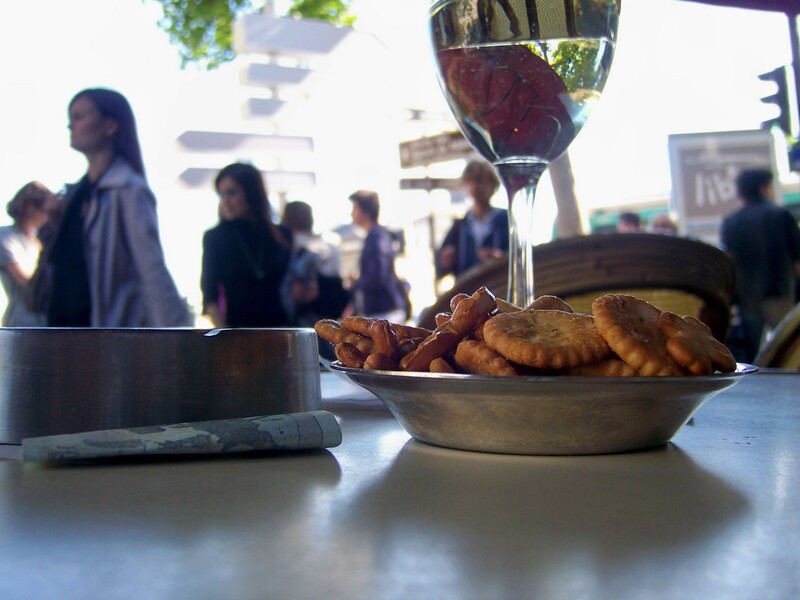 We know that the Readership wants French food — the ETs will dine out and deliver. 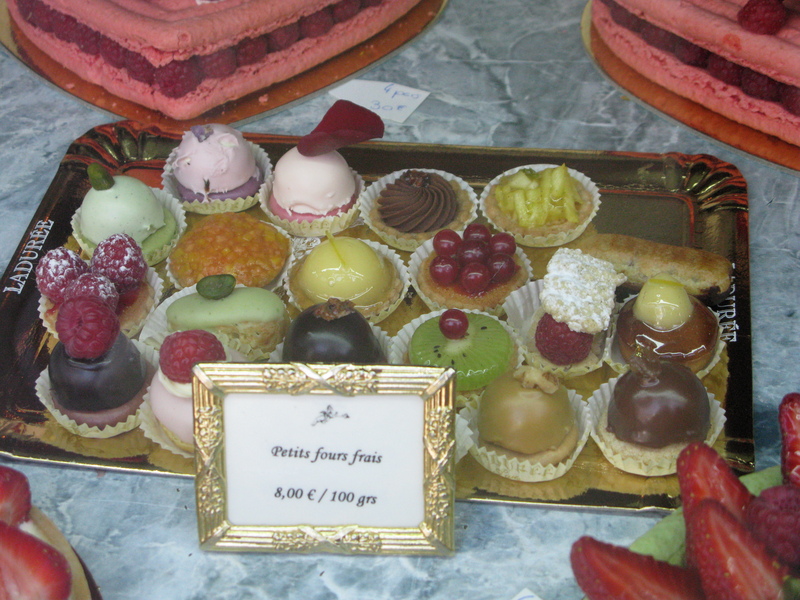 Other popular posts over the past year include our trip to the Chateau de Versailles, some odds and ends around town, the Marais and Monet, and the most-searched term leading readers to the blog, les macarons. Next time you’re on a conference call, check out the Julie’s Paris archive! 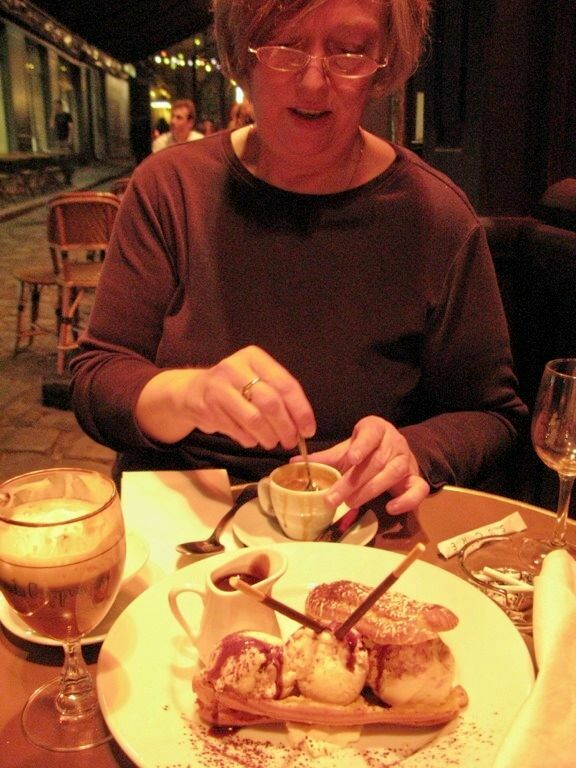 Thank goodness we have hundreds of digital photos from Paris trips over the years, so we have a robust archive of pictures and stories to keep Julie’s Paris fresh. There's so much more to discover in Paris - the Trocadero neighborhood looks promising. We thank the Readership for your unwavering loyalty to Julie’s Paris! Celebrate! It’s the perfect excuse for a smelly cheese and a glass of wine. PS – Let me draw your attention to “Lost In Paris” an entertaining article in yesterday’s New York Times where author Matt Gross describes spending $200 on an umbrella. There’s some Found Money!